Telehealth has become a promising new service delivery model in this age of healthcare technological innovation, for several reasons: It provides access to healthcare services for patients in distant locations where in-person care may be limited, offers cost efficiencies for both patient and provider, supports the care continuum, and meets the ever-growing consumer demand. Telehealth’s ability to eliminate physical distance as a barrier to care, however, has raised an array of legal issues not typically encountered in traditional healthcare regulations. Hospitals first need to understand the legal considerations governing the practice before taking steps to implement a telehealth program to ensure compliance and avoid any penalties that could result from failure to comply. If your hospital is looking to add telehealth to your clinical practice roster, review the following questions and answers. They cover many of the legal issues you will confront and can help smooth your entry into the use of this emerging healthcare delivery technology. What are the primary legal considerations regarding telehealth with which a hospital should be concerned? 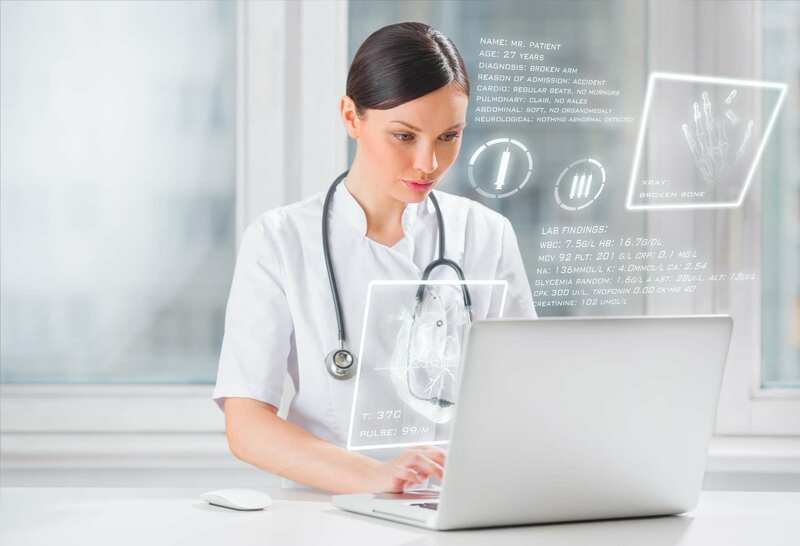 Many legal facets are involved in the implementation of telehealth. The more prominent include considerations regarding state and federal laws and regulations, licensing across state lines, contractual agreements, insurance and reimbursement, informed consent, malpractice, and hospital policies and procedures. Do state and federal laws differ relative to the use of telehealth? Legislative and regulatory language and policies do vary by state. With the inconsistent adoption and lack of uniform language regarding telehealth use, hospitals must know the scope of practice laws and regulations for states where they plan to perform services before starting a program. Do all states allow the use of telehealth? Some states may disallow or have barriers to the practice of telehealth within various professions. One example would be a requirement that the clinician conduct an in-person physical exam of the patient before providing telehealth. In its document on telehealth regulatory and legal considerations, the National Institutes of Health (NIH) advises hospitals to review the state practice act, board regulations, and any relevant board opinions or interpretations in the state where they are located to determine what restrictions or requirements may come into play. NIH also recommends that before launching a telehealth program across state lines, hospitals check the state practice act for the patient’s state of residence. “If a state’s practice act does not mention telehealth or include published opinions or positions, practitioners should contact the state board for further clarification to ensure they do not violate any aspect of their license,” NIH says. Should attorneys be involved in a hospital’s telehealth program and, if so, in what capacity? A hospital or health system’s general counsel has overarching accountability for meeting legal requirements regardless of practice area, including telehealth. As such, the hospital should include the general counsel and legal department as key stakeholders regarding any aspect of telehealth program development where legal matters are concerned. “As your hospital develops its telehealth program and negotiates with new sites, you want to ensure the general counsel and legal department are aware of the process, and are involved with the program creation and validation, keeping everything aligned with applicable laws and regulations,” says Bryan Arkwright, Managing Consultant, Consulting and Physician Advisory Services, Schumacher Clinical Partners (SCP). Arkwright – who specializes in helping hospitals and health systems establish and optimize their telehealth programs, is also an adjunct faculty member with the Wake Forest University School of Law Online Master of Studies in Law (MSL) program – recommends that the general counsel or a staff member from the legal department meet regularly with the telehealth executive committee (or responsible telehealth strategic and/or operations committee governance structure) to ensure compliance both with hospital policies and procedures, as well as state and federal laws and regulations. “Best practice is to involve the general counsel or a staff member from the legal department in meetings early on, even before getting the program up and running,” he says. Once the program gains momentum, a legal department representative can advise your telehealth executive committee regarding the interpretation and consequences of changes in the laws and legal landscape, and also how to adjust policies and procedures to stay in compliance. What are some common barriers to implementing a hospital telehealth program? As mentioned, due to the evolutionary nature of telehealth, federal laws and regulations defined by CMS are not aligned entirely with state versions. The differences can be a source of confusion for hospitals, says Arkwright. He emphasizes the need for hospitals and health systems to be clear on each state’s requirements regarding the services they provide. Other common concerns may include credentialing and practice privileges, online medication prescriptions, malpractice liability, informed consent, and the type of technology used. What are some best practices to best meet the legal requirements of telehealth? The first best practice, according to Arkwright, is to include the general counsel or a representative from the legal department in your telehealth program operations. “Telehealth programs that fail to involve their general counsel or a representative from the legal department are subject to increased risk,” he says. Another best practice is to have explicit contracts in place between the hospital and any additional parties involved with telehealth related products or services. Arkwright stresses that contracts be clear, concise, and cover all areas related to expectations, involvement, compensation of parties, medical malpractice, quality goals and metrics, physician licensing, and sharing of data between the two sites. A third best practice regards the need to obtain a patient’s informed consent before engaging in telehealth. Arkwright notes an industry best practice where hospitals update their current informed consent policy to include the use of telehealth technologies, so patients are not required to sign a separate document to grant authorization. Regarding best practices, Arkwright says that ample precedent exists for how to establish a program that complies with federal and state laws and regulations. Can hospitals bill for services delivered through telehealth the same way as services provided in-person? 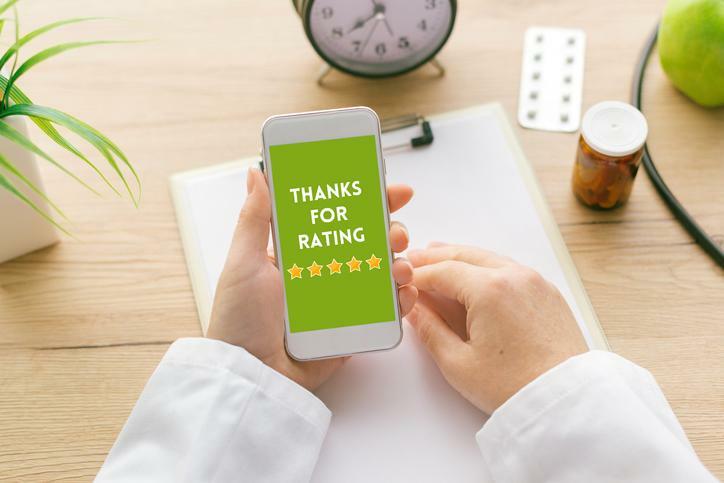 Some states have legislation that require insurance companies to reimburse for a service delivered through telehealth if they would reimburse for the same service performed in-person. Hospitals are encouraged to contact the reimbursement entity before engaging in telehealth to determine if and how services are reimbursed, and how the services are to be documented. Also, hospitals should bill for telehealth services using the appropriate documentation (modifiers and/or place of service) along with the appropriate CPT/HCPCS code. Modifiers, place of service documentation and use of approved telehealth codes classify the service delivery model as telehealth and enables the collection of data on the frequency and types of services delivered. Regulatory shifts in payment reimbursement models now encourage telehealth adoption. For example, the Veteran’s Health Administration recently announced a new federal rule that allows VA providers to treat veterans using telehealth regardless of which state each is located — an act that catapults telehealth utilization nationwide. If a provider resides in a different state than the patient, does the provider need to secure licenses in two states before engaging in telehealth? Current medical and legal practices dictate that the location of the patient determines the state in which the practitioner must be licensed. If that location is in a different state from the one where the doctor is licensed to practice, then he or she would need to secure a license from the state where the client resides unless the state has exemption provisions within its licensure laws. Arkwright cites the Interstate Medical Licensure Compact, which continues to gain traction. Specifically, the Compact created by the Federation of State Medical Boards, a national nonprofit group, that provides a faster way to obtain licensure in more than 20 states and the District of Columbia. He recommends hospitals with telehealth programs that plan to operate in a state that utilizes the Compact investigate its licensure procedures. He also emphasizes the importance for programs that serve several states (and internationally) to involve the general counsel, legal partner, or representative from the legal department to ensure compliance in all locales. Will professional malpractice insurance cover services delivered through telehealth? Malpractice policies for services delivered through telehealth vary by carrier. NIH suggests that practitioners consult with their malpractice insurance carrier before engaging in telehealth. Consideration of the insurer’s licensed coverage area is also warranted if a physician intends to practice in multiple states using the telehealth service delivery model. The Center for Connected Health Policy (CCHP), a public interest organization that develops telehealth policy solutions, says little information exists on the extent of malpractice liability and telehealth. Many insurance carriers offer cyberliability coverage and hospitals can inquire about the option to have their telehealth programs included or covered additionally through this type of coverage. Without a doubt, hospitals and patients alike will benefit from the use of telehealth to deliver healthcare services thanks to its ability to remove physical barriers to care. However, before implementing a telehealth program, hospitals must first become familiar with all pertinent legislation, regulation, and policies related to licensure, reimbursement, malpractice coverage, and the other issues listed above. That is why involving the aid of the general counsel and legal department from the outset is necessary. The statutory guidance they provide will ensure the hospital remains in compliance, avoids penalties related to non-compliance, stays up to date with changing laws and regulations, and runs its telehealth program successfully for years to come. For information on proven, practical processes for evaluating, implementing, improving or expanding telehealth initiatives, learn more about our Consulting Services customized telehealth services.